Did you know that the first thing a woman, (or man), is asked when they mention that they are engaged is, ˜How did they pop the question? Wouldn’t it be wonderful if your partner’s answer is something truly amazing? If you decide to propose at The View From The Shard you will never have to worry about someone not being completely jealous of your proposal story. Proposing 800ft up in the air definitely has some perks! Firstly, the views! Spanning for 40 miles, just think how romantic it will look at night with lights twinkling all over London. 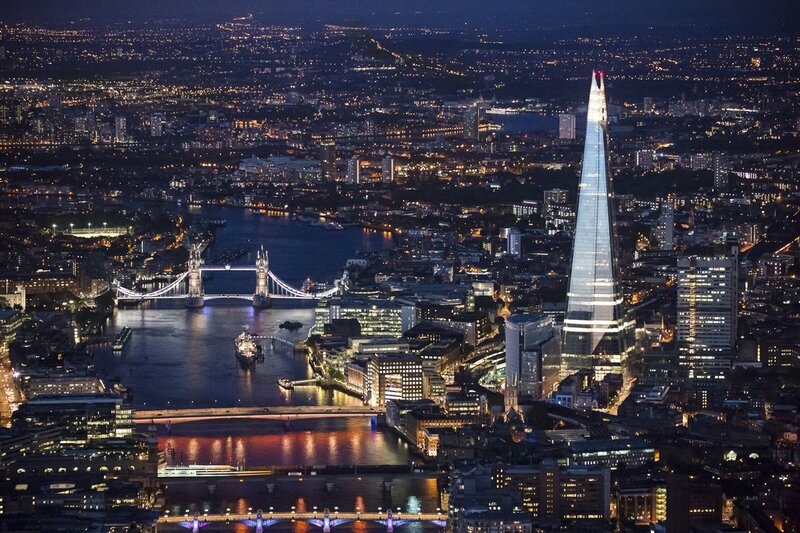 We have planned multiple proposals at The View From The Shard, each as beautiful as the next. 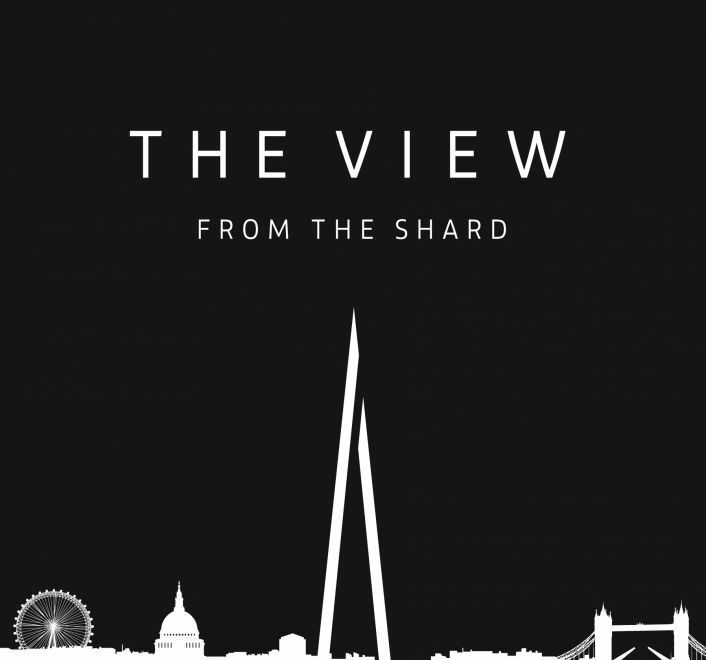 We have even been named The View From The Shard’s recommended suppliers, which we are really excited about as it means that we get to make more and more couples extremely happy. Whether you want room decor, your partner to be serenaded to their favourite song, or a flash mob proposal we can help you organise the proposal of your partner’s dreams. We recently organised a stunning proposal for Jerad and his girlfriend Lauren. He had arranged for them to go up to The View From The Shard to look over London. Whilst the tour guide offered them a private tour of the 72nd floor, we snuck in to decorate the 69th floor in the record breaking time of 10 minutes! When Jerad and Lauren came back down from their tour, Lauren was astounded to see that they room had been transformed and was now covered in her favourite coloured rose petals, as well as candles, fairy lights and flowers. She also noticed that there were four easels laid out across the floor holding beautifully wrapped canvases. As Lauren unwrapped the canvases, all the romantic things that Jerad had wanted to tell Lauren were revealed. 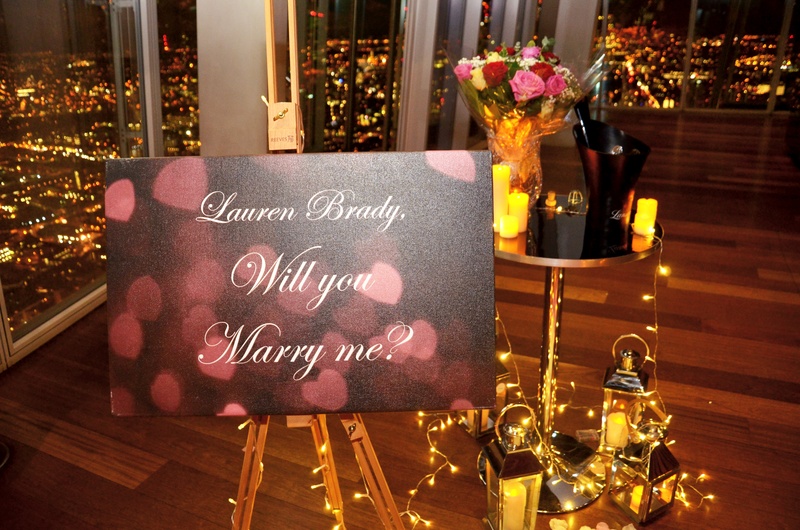 The final canvas had the words, ‘Lauren Brady, Will you marry me?’ written on it. As she turned around she saw him down on one knee, waiting to ask her to marry him. Of course she said yes! Gurdeep came to us knowing only that he wanted to serenade his beautiful girlfriend Kayleigh with their favourite song, John Legends ‘All of Me’, surrounded by a beautiful view of London.Â We knew exactly what to do and that proposing at The View From The Shard would make their moment perfect and unique. To fulfil his desires to have Kayleigh serenaded, we gathered some of the best West End Singers from shows like Jersey Boys and Lion King to create the perfect acoustic version of ‘All of Me’, as the FIRST EVER FLASH MOB PROPOSAL the Shard has had. But this was not all we had in store, we had set the perfect scene, now we wanted to give it that extra personalised touch. As she walked around the View from the Shard oblivious to what was about to happen, the singers began performing. One of them came over and handed her a bouquet of favourite flowers. At this point Gurdeep took Kayleigh into the centre of flashmob, surrounded by excited tourists that wanted to capture the incredible moment he got down on one knee and popped the question! 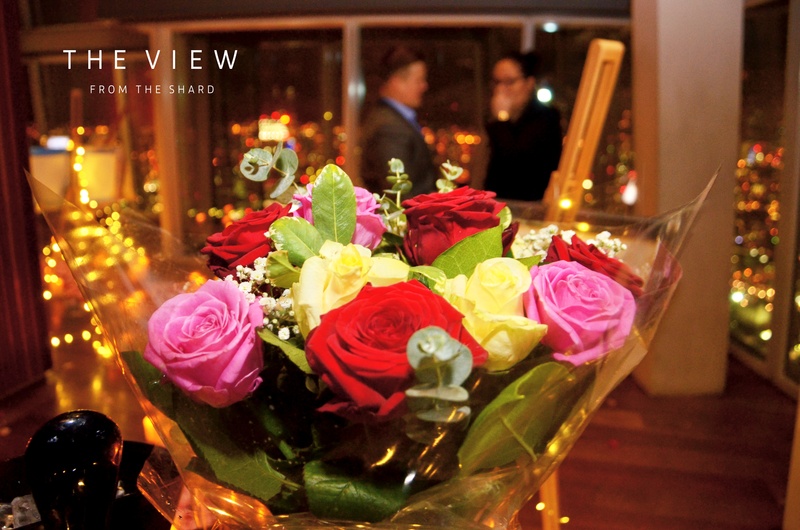 If you’d like to plan your own proposal at The View From The Shard, but would like a helping hand let us know at info@theproposers.co.uk. We are the UK and Europe’s leading proposal planners and have planned over 650 proposals in the last 3 years so you are in safe hands with us! If you would like to propose with a beautiful diamond ring take a look at our partners, Purely Diamonds, beautiful collection of diamond rings here.